Our train charter this past February was a great journey back in time. 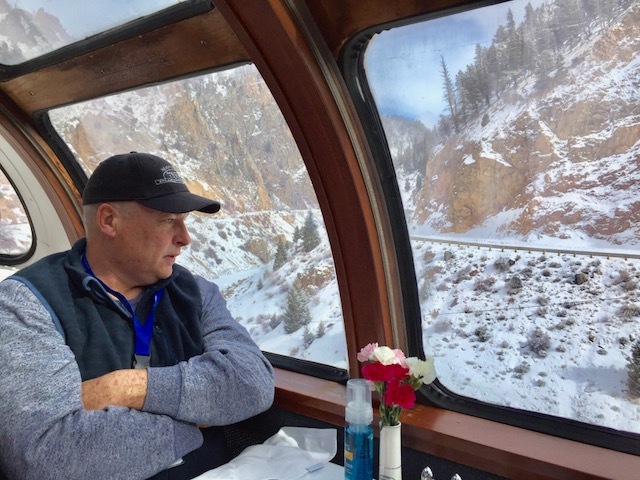 Riding the classic railcars of the California Zephyr really is traveling in style. My friend Mike Danneman, who is an amazing rail photographer, artist and model railroader, came along for part of the westbound ride. Upon our return, he sent me these images that he took from different eras. 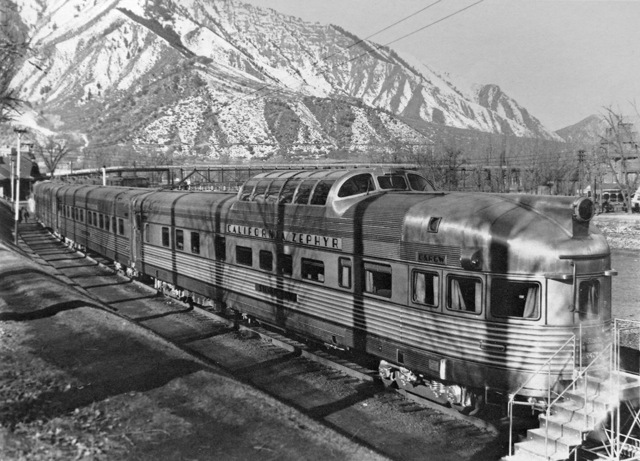 Before the inaugural run in 1949, Rio Grande took its California Zephyr train set west to Glenwood Springs, Colorado, to show off the shiny new passenger train to Western Slope residents. In a black-and-white Rio Grande publicity photo, the Silver Sky is ready for visitors on March 14, 1949. 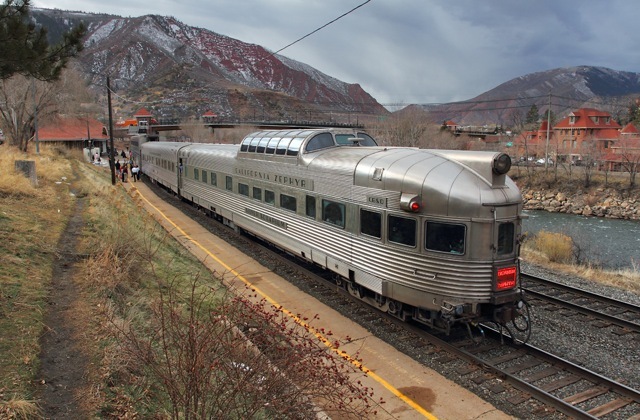 In one of my photos taken nearly 70 years later, the Silver Solarium strikes a similar pose at the station stop at Glenwood Springs on our journey west. Fun trip! 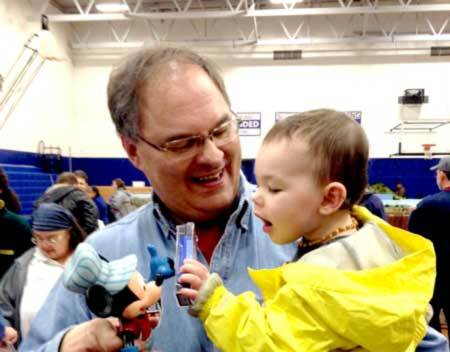 I enjoyed visiting with many of you on my trip to Grand Junction! ← Will you see all the trains you want in your lifetime?